A team of women, from seasoned pros to up and coming juniors, Drops Cycling are heading into their second year of road racing 15 riders strong. With two men at the head of the team, you wouldn’t think they’re any different from other female cycling teams. If this is the case you’re view on the team is very…very wrong. Team Director, Bob Varney, pointed out they’re getting praised for treating the cyclists on their team the right way, which in a perfect world wouldn’t be done because it would be the norm. With recent media stories, we know this isn’t always the case. All the girls get paid, yet there isn’t the stressful and pressurised environment you’d expect from a professional cycling team. When some of the girls crashed or dropped off the pace at the Tour of California in 2016, there was no pressure on them to continue. Drops Cycling acknowledge the fact their younger girls are still learning. Some races are planned for them to race, others can be for certain members of the team to learn and gain experience from. 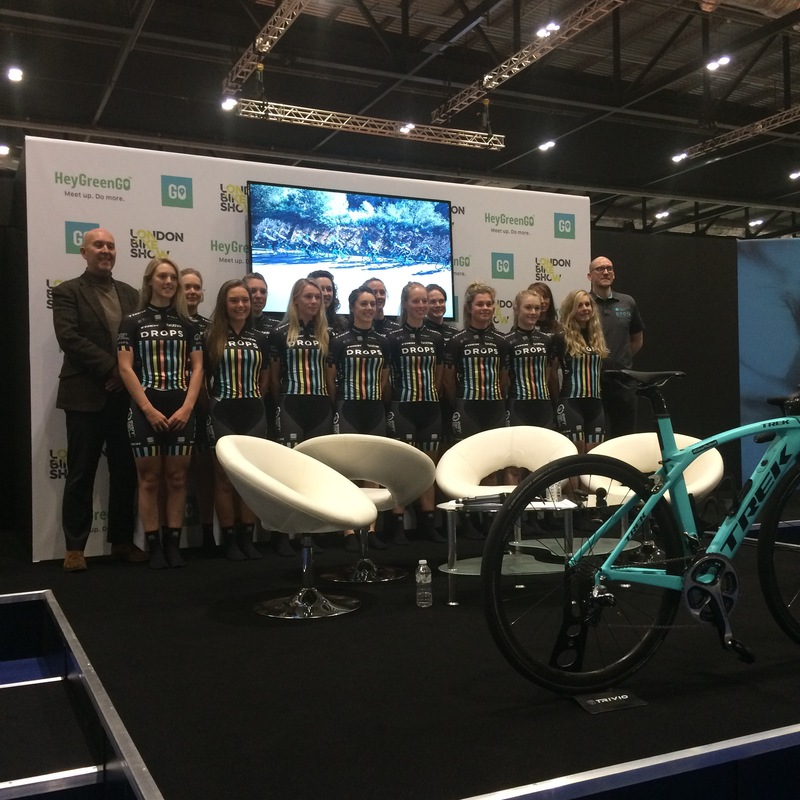 With the likes of Martina Ritter now on the team very much willing to share their experiences of the peloton with the younger team members, who knows where these girls will end up. They can turn up to the race to compete (obviously), but to also still enjoy it and have incredible support from each other. When asked what makes a Drops Cyclist, the first thing that was said was to be a team player. As they head into their 2017 race season, I’ll be keeping up to date with their progress through their team magazine, The Drop, which is essentially their monthly team newsletter. Head to www.dropscycling.com to find out more or search @dropscycling on social media.